Over the past decades, a lot of Ugandan music has been produced in different forms, genres and styles. This has been made by thousands of artists and other contributors, with each inspired or influenced by the previous music recordings. Music’s highest honor, #HiPipoMusicAwards, will celebrate this wealth of musical richness of over decades starting at the 6th prestigious HiPipo Music Awards where we shall enshrine some classic recordings in the Hall of Fame. HiPipo Music Awards, has established the Hall of Fame to honor music of lasting quality that has made contributions to Uganda’s socio-cultural heritage. The Hall of Fame will honor not just individuals, but the recordings themselves. The Hall of Fame will grow annually by honoring music recordings of all genres that are at least 15 years old. The Hall of Fame will embody the creative spirit and cultural significance of the greatest recorded Uganda music of all time! In the year 2018, the songs entering the Hall of Fame will be announced and celebratory emblem created for these songs. The songs will have been released by/before the year 2001. Over a 2-months period, fans will share opinion for the songs they suggest to be commemorated and enshrined into the Hall of Fame. The Music Assembly will also review and vote for the Hall of Fame’s recordings. 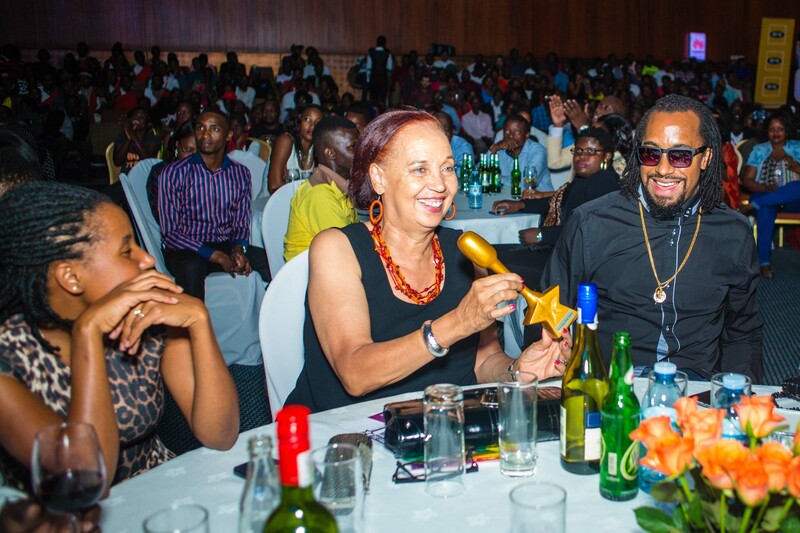 Prof. Maggie Kigozi and son Navio at HiPipo Music Awards 2016. “The Hall of Fame recordings will be featured at the Arts Museum and we shall also agitate for these acts to be specially featured in different music distribution channels not limited to digital channels, radio/tv, airplanes operating Uganda routes and in country buses” Innocent Kawooya, CEO HiPipo noted.